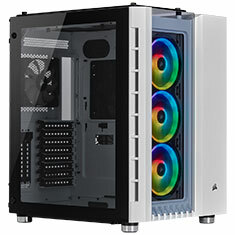 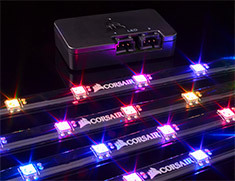 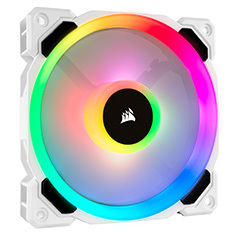 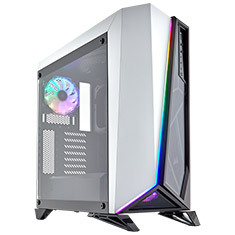 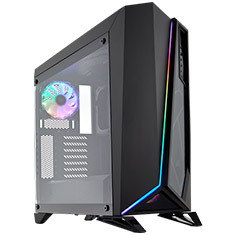 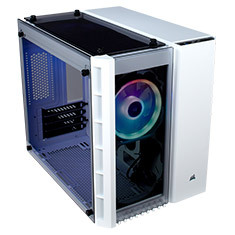 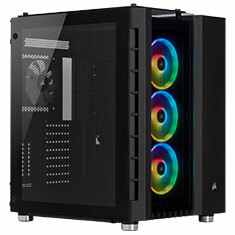 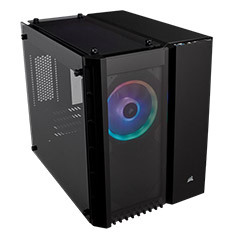 …lighting, the CORSAIR LL120 RGB fan puts your PC back in the loop. 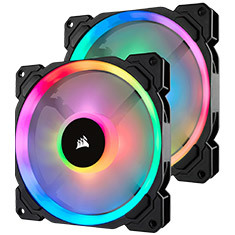 These RGB fans light up your case with sixteen independent RGB LEDs for nearly endless customisation, offer PWM control and push up to 43.25 CFM while producing up to 24.8 dBA. 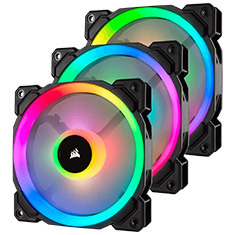 Pack of 3 LL120 RGB fans with Lighting Node Pro. 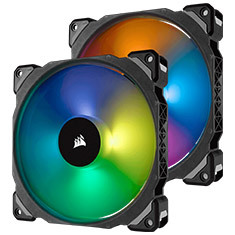 …powerful lighting, the CORSAIR LL140 RGB fan puts your PC back in the loop. 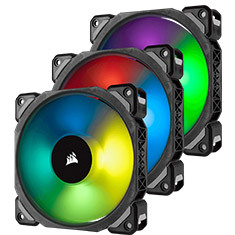 These RGB fans light up your case with sixteen independent RGB LEDs for nearly endless customisation, offer PWM control and push up to 51.5 CFM while producing up to 25 dBA. 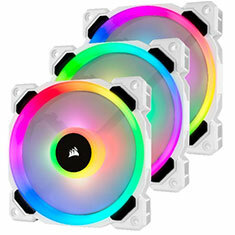 Pack of 2 LL140 RGB fans with Lighting Node Pro.